Every Bride has a different dream and every wedding is unique. Our bespoke wedding service allows you to choose the perfect package, tailored for your day to make all your wishes come true. 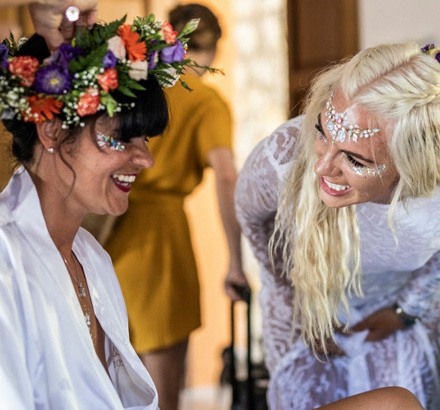 Depending on the size of your wedding party we can send as many professional make up artists from our team to help get you and your party ready. 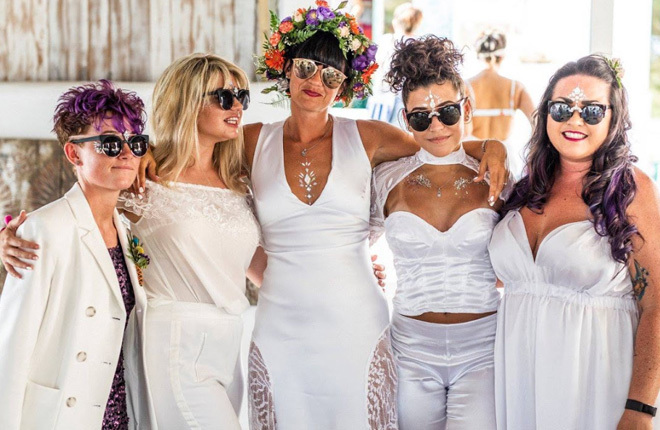 Our bridal packages allow you to choose the perfect service for your day, whether thats creative entertainment for you and your guests during your reception or having us on hand throughout the day to keep you and your bridal party looking gorgeous. In Your dreams Ibiza offer classic bridal make up and hair. We can also stay on hand for the day for any top ups or to build your look using embellishments later on so you’re ready to dazzle on the dancefloor. Captivate the guests at your Wedding reception with our IN YOUR DREAMS festival stand set up. Decorated with dreamcatchers and flowers, we always ensure to create an inviting space for your reception. Our services always go down well with the whole crowd from young to old and bring an added element of fun to the party! In Your Dreams enchanted our wedding in Ibiza. 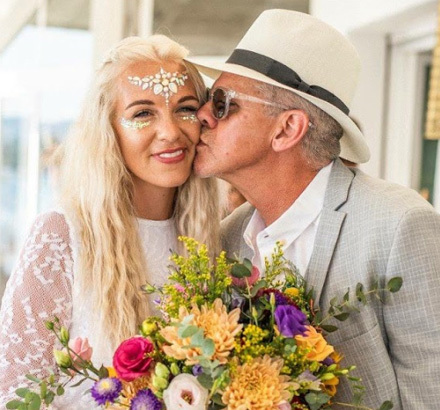 Both myself and my wife wear very little/ natural make up but we wanted to feel beautiful on our special day, and the girls used their magical touch to give us the sensation of Goddess and mermaid . The designs they created to make our bridal party unique yet coordinated were so beautiful and artistic. In Your Dreams also attended the wedding reception and dazzled our guests. 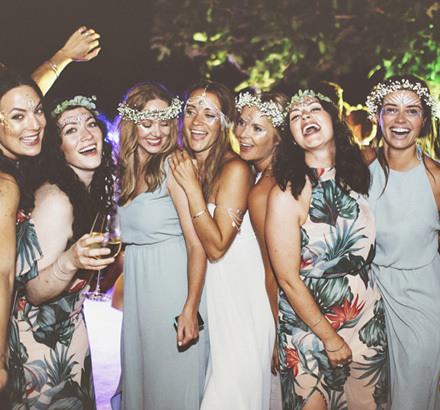 The team are stylish, friendly and fun, all of the important components to make sure we were relaxed and happy getting ready for our wedding and during the most important party we will ever throw. We also felt that they took time to make sure that uniqueness was a key factor which is always important in making you feel special. We love in your dreams so much and since our wedding have come home and purchased products from their awesome website. Kind of wish we could do it all over again....Thanks for making it memorable. Love, Sam and Aish aka SMASH. "In Your Dreams also attended the wedding reception and dazzled our guests"